With a compact design, the Digitalmate DM-130 TTL Compact Flash offers a useful guide number of 130' at ISO 100 for illuminating a scene without weighing down your camera. It offers full ADI / TTL support as well as a manual mode with power settings from 1/1 to 1/128 in 8 levels. With a back-lit LCD screen for setting the mode and making adjustments, as well as a memory function to restore settings when powering on/off the unit, the DM-130 has advanced functionality that will prove extremely useful in the field. Dimensions: 3.1" x 2.6" x 2.4"
DEDICATED - The Digitalmate 130N dedicated flash is a flash unit that fits into your camera's hot shoe. 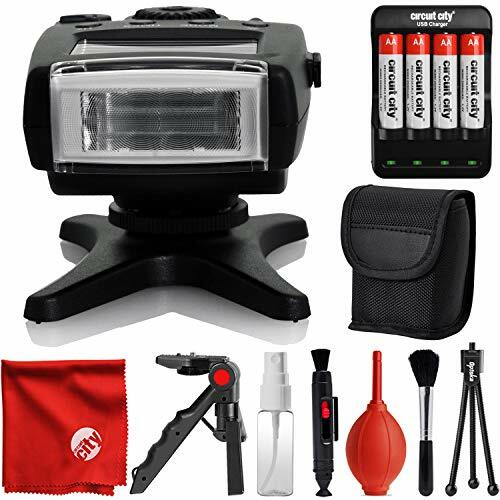 The dedicated flash is a great piece of gear that communicates with the camera. A dedicated flash is a far better tool than the built-in flash because of the versatility it gives you. AUTOFOCUS - The Digitalmate flash provides an independent AF assist. When a flash is mounted to the camera, the AF Assist option is enabled. The normal AF Assist light will not be used, instead the flashes autofocus assist system will take effect. View More In Shoe Mount Flashes. If you have any questions about this product by DigitalMate, contact us by completing and submitting the form below. If you are looking for a specif part number, please include it with your message.